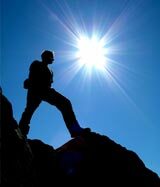 We are passionate about helping people to build their life, dreams and aspirations. By working closely with each individual, we assist them to bring out the hidden talents within, allowing them to achieve their maximum potential. Please contact us when you would like to be inspired! In creating a healthy life there are eight key categories we work with: Business/Career, Physical Wellbeing, Relationships, Spiritual, Personal Development, Finances, Rejuvenation and Community Contribution. By balancing each of these areas as a whole, there is synergistic power to create desired Business and Personal results. 1. Thrive, Not Just survive! 2. Achieve More, Do Less! 3. Fulfil Your Dreams, Not Someone Else’s! Implementing strong foundations, which are essential for delivering whatever level of Business & Personal success you desire now and in the future. We assist you to create, build and implement the foundations you require for thriving, achieving more and fulfilling your own dreams rather than someone else’s. By developing, enhancing and integrating key life areas, you will be creating a powerhouse for Vitality, Performance and Lifestyle results! Are you ready to move forward - to build your dreams into reality? 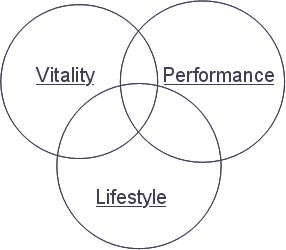 Click on Vitality, Performance or Lifestyle to gain further insight into these Health Pursuit areas or please contact us to arrange a free consultation!